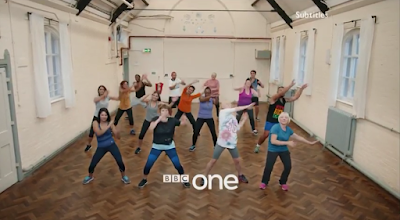 UPDATE | The BBC has replaced its longest-serving set of BBC One idents. A new set of idents - short pre-programme clips containing announcements and a channel identifier - depict people and communities coming together in "oneness". The new look launched during the early hours of New Year's Day. The previous set, on air in various forms since autumn 2006, and featuring hippos, surfers, cyclists and kites, were silently dropped last month with the launch of the channel's Christmas-themed idents. The "oneness" theme first appeared Christmas Day before returning on the 1st January. The new idents relate to the channel representing people of all communities and reflecting the mood of the nation. And the theme of oneness can be seen in the context that even in today's on-demand age, BBC One can still bring viewers together for major televised events like no other channel. 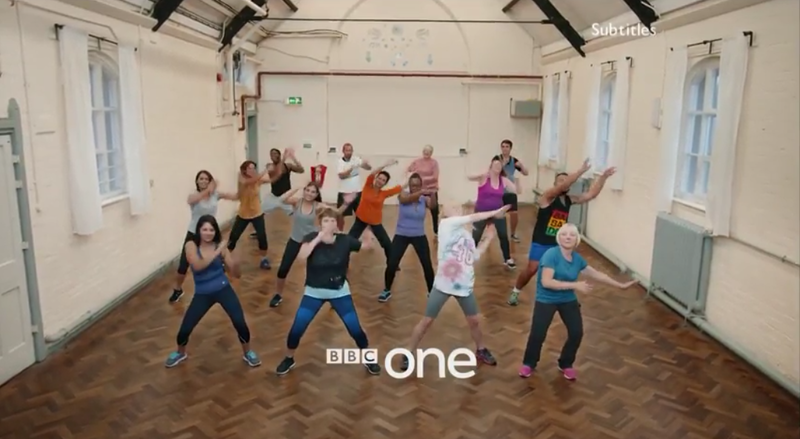 In total, there are to be 24 idents by documentary photographer Martin Parr, featuring groups such a Zumba exercise class (pictured above), dancers, disabled rugby players and mountain rescuers to be phased in during the year. 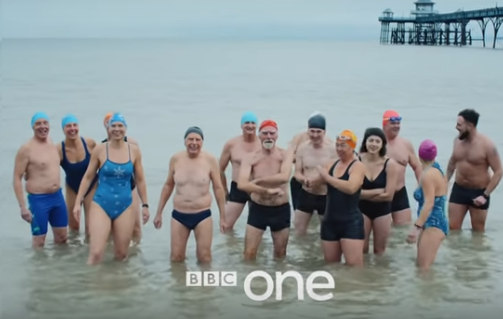 Swimmers at Clevedon Beach (below) are among the first to be featured in the new look for BBC One. Early reaction to the new idents from viewers has been critical, with a lot of negative reaction on social media. Unlike the last ident changes in 2006 and prior to that in 2002, there is no change to the styling or font of the BBC One logo, in contrast to recent revamps of BBC Parliament's and CBBC's on-screen look. In addition to new idents, other aspects of BBC One's presentation including programme trailers have also been revised. Prior to 1997, BBC One featured various incarnations of a globe before replacing the globe with a hot air balloon in line with a new look BBC in the corporation's 75th anniversary year. In 2002, the balloon was replaced by dancers as part of the "rhythm and movement" era of idents that proved unpopular with many viewers. The 2006 set of idents that were based on a circular theme cost over £1million, but the BBC has declined to provide any information on how much this new set has cost. “I want BBC One to continue to evolve creatively so it’s important that the channel idents continue to move with the times, too, and feel relevant and in touch with a big and broad mainstream audience."